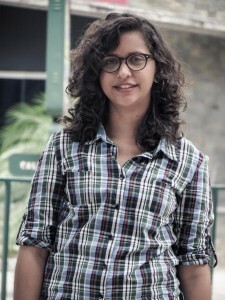 María Betania was born in Calabozo, Guarico state, Venezuela in 1993. In 2012, she entered the National University for the Arts as a student of composition, studying with Gerardo Gerulewicz. In addition to composition, she has studied composition with Miguel Angel Monroy, piano solo and accompanying with Hector Molina and Andrew Cartaya, maracas with Andres Cartaya, and violin with Maestro Pablo Vasquez. She is currently completing her eighth semester of composition in “UNEARTE” and is Artistic and Creative Producer of the Circle of Contemporary Music.